After the soporific Brits, what the British music scene desperately needed was a good old-fashioned bitchy feud. 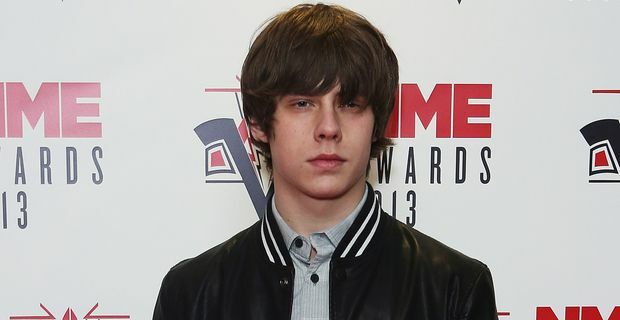 Happily, adolescent folk singer Jake Bugg obliged by taking a pop at One Direction. Bugg’s hobby away from music is probably shooting fish in a barrel. Bugg was asked his opinion on the 1D boys by ShortList magazine. These days the accepted response would be along the lines of, "they are lovely lads who work very hard”. Bugg didn’t go to Brits School though, so replied "They must know that they’re terrible. They must know. Calling them the new rock stars is a ridiculous statement. And people should stop making it." One Direction, whose enormous global success and fame doesn’t seemed to have stilled the nagging voices of self-doubt, reacted with a Twitter snarl. Louis Tomlinson tweeted: "Hi @JakeBugg do you think slagging off boy bands makes you more indie?" and Niall Horan added: "Really buggs me that artists we're fans of, flip on us in the press!" They might have retorted that Bugg was hardly in a position to be disdainful himself, having based his image and songwriting fairly blatantly on Bob Dylan circa 1962, without the crucial ingredients of talent or originality. Bugg returned to the attack in an ITV interview. "I don't know how they can really be considered a band," he said, "though to be honest, I'm not too sure. I think the more I play on it, the more it'll wind them up. They're there to look good. Music wise? I assume they don't really have a clue. Probably the ugliest one is the best singer. He might know a couple of chords." It’s all heading towards a fight in the 02 car park at this rate. Mumford and Sons might be inclined to take One Direction’s side. Bugg recently described them, rather accurately, as looking like "posh farmers with banjos."